Just pictures for today’s blog. This recipe can be found in the book Isa Does It if you want the recipe. I added a few more vegetables than what the recipes called for. I really need to consider opening a vegan quesadilla restaurant, I think it has become my specialty. This was another elaborate meal, not as good as my usual. I might make the lentil loaf again, but probably not the salad. Wow this one was amazing!!! 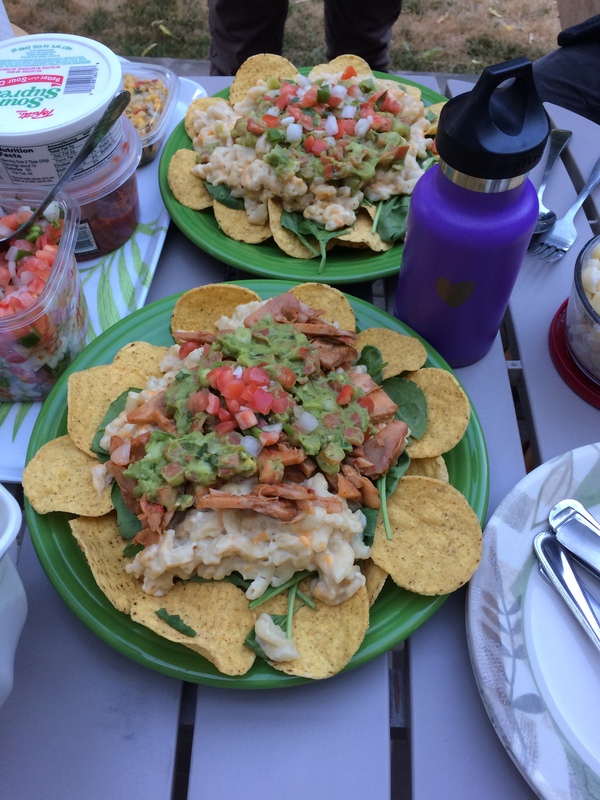 Served with a side of vegan mac and cheese nachos, another of my favorites. Borrowed a recipe from one of my favorite vegan bloggers for this meal. The original recipe is here, love Meet The Shannons!!! Continue on for an assortment of various pictures from the meal. The only thing I did differently was added in more veggies, like broccoli. This meal had a lot of prep work but ended up working out fairly well, and was something relatively unique compared to my usual meals. 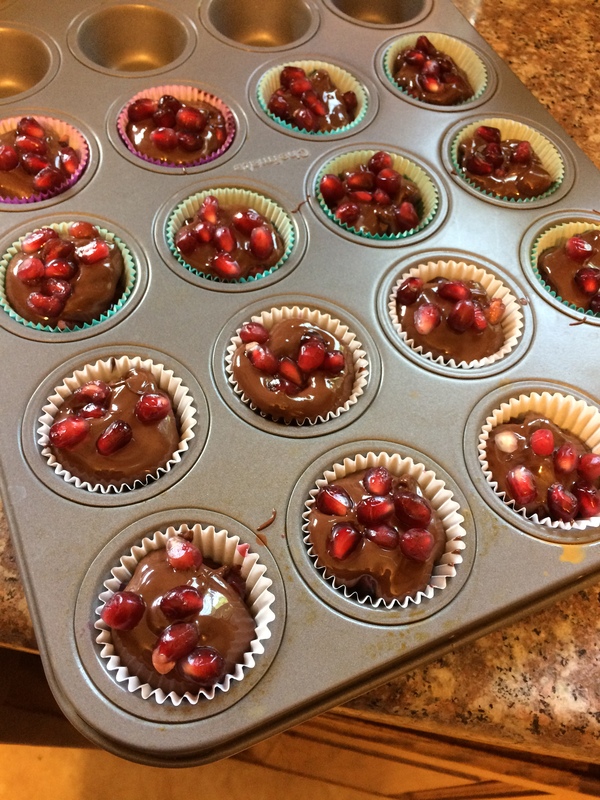 Take some fresh or thawed pomegranate seeds, melt some vegan dark chocolate chips, and align in a small baking cup as such: 1 tsp chocolate, 1/2 tsp pomegranates, 1 tsp chocolate, 1/2 tsp pomegranates. Let harden in the fridge and enjoy for a quick snack! Went apple picking as we do every fall, which inevitably means time for apple recipes! Made some great ones this year! This was my favorite so far. I have decided, if I ever somehow end up in a gourmet chef competition, this is going to be my recipe. It is truly I think the best dish I have ever made. This was another great mexican dish, super proud of it.